This project is based on MistyPE. It's been scaled down and developed specifically for digital forensics acquisitions. 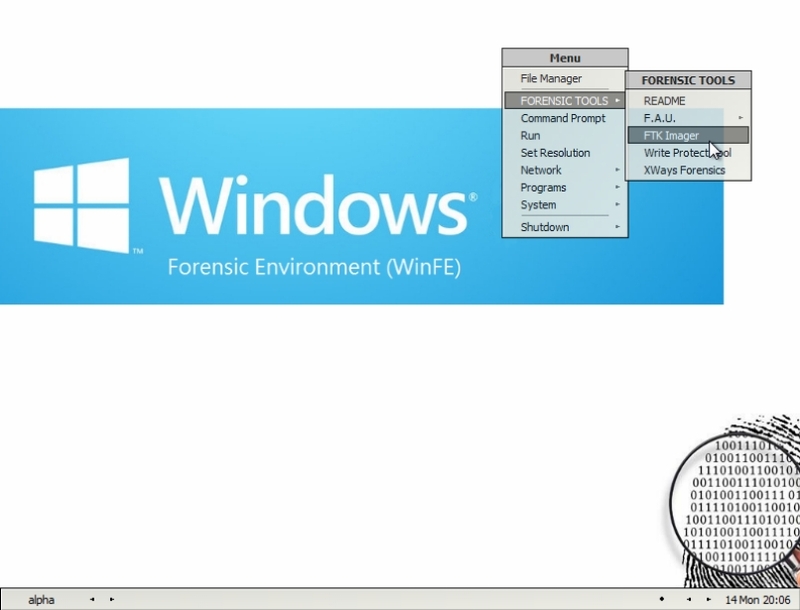 Mini-WinFE has been co-developed with Brett Shavers to facilitate a simplified method for building a Windows Forensic Environment (WinFE). Full documentation is included in the project download and here. All you require to create a WinFE in a matter of minutes is the Mini-WinFE download, a Windows Source DVD (or mounted disc image) and any of the third party applications you want to include in the build - the WAIK or ADK is not required.